If you&apos;re looking to score buys, shopping is practically a sport in and around Rochester, NY. See our must stop shopping list. We have a reputation for creating the best shopping opportunities and experience you&apos;ll find between New York City and Niagara Falls! 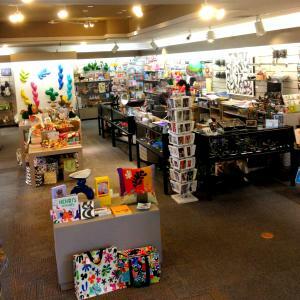 There are unique buys at museum gifts shops -- from art, science, photography and Americana to treats for kids of every age. Do you like finding perfect buys at big name department stores you won&apos;t find in any other part of upstate New York? How about chic treasures at trendy boutiques and galleries throughout city neighborhoods and village shops? Let&apos;s not forget your palate! Wines, craft brews, gourmet products, sweets and fresh local food... all waiting for you to enjoy in your hotel room or bring home. Even a trip to Rochester&apos;s famous grocery chain flagship store is a shopping adventure. Game on! Rochester&apos;s museum gift shops are superb! This is a city with a richly creative arts culture and outstanding museums -- and their gift shops are a perfect place to find gifts or souvenirs. 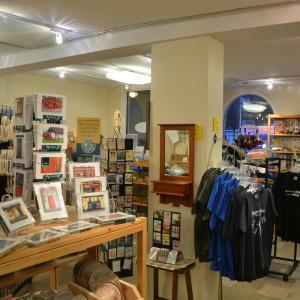 The Gallery Store at Rochester&apos;s exciting Memorial Art Gallery holds an intoxicating selection of unique gifts of nearly 150 local artists&apos; works. This is a perfect place to find that one-of-a-kind gift for a birthday, wedding, bridal shower or any special occasion. Jewelry, regional crafts, books and CDs, stationery, and postcards and posters are just the beginning. You might find the perfect accessory for yourself or something for a little budding artist. The gift shop at the Rochester Museum & Science Center will satisfy the explorer, mathematician and scientist in anyone interested in subjects from the beginning of Rochester‘s glacial days and history to whole galaxies. If you&apos;re fascinated with photography and film, the gift shop at The George Eastman House International Museum of Photography and Film is the place to find everything from signed books by famous photographers to fun items like a "camera" pencil sharpener. Rochester is a very walk-able city and it&apos;s easy to explore the cultural center with a stroll along The Neighborhood of the Arts & ARTWalk. This is a perfect place to explore Rochester&apos;s permanent, interactive urban art trail connecting world-class museums, cultural institutions, galleries, studios, specialty shops, restaurants, and more. Just a few blocks outside of the city&apos;s center, you&apos;ll find trendy urban neighborhoods with tree-lined streets full of chances to shop. Make it a leisurely exploration - maybe with breakfast or lunch in a café in the Park Avenue Neighborhood -- a place with a casual, friendly and very hip vibe. Discover the specialty gift shops, galleries and other unique stores that line the avenue. This neighborhood is full of old Victorian homes, some of which have become restaurants and shops. If you get tired, make a stop at the delectable Stever&apos;s Chocolates, a staple on the avenue since 1946. The aroma of chocolate here is enough to perk anyone up! Justify eating a treat on the spot because you "had to pick up a souvenir" of your visit - like a solid block of premium chocolate imprinted with the Rochester skyline. The South Wedge is an up-and-coming, eclectic, vibrant, urban neighborhood featuring unique and trendy boutiques, shops, restaurants and bars. Indulge in decadence at Hedonist Artisan Chocolates! When we say the neighborhood is "eclectic" - we mean you can find everything from art, elegant gift soaps and home products, pastries, and handmade jewelry to historic reclaimed house parts for your home. And that&apos;s just the beginning. The Erie Canal made Rochester a boomtown in its early history, and now the Canal is a recreational gem of a waterway that connects to the city from the Genesee River. Along its route, historic, picturesque Erie Canal towns grew up -- full of intimate shops with 19th century architecture. Pittsford, Fairport, Spencerport and Brockport are a joy to browse. These charming towns are favorites of national and international visitors shopping for handcrafted gifts and antiques, home décor, jewelry, toys, Erie Canal memorabilia, and boutique clothing. Love poking about for antiques, vintage and "gently used" treasures? Rochester and the Finger Lakes are full of shops to do just that! Routes 5 & 20, south of Rochester, is an old Native American trail that developed into one of the state&apos;s storied routes, dotted east/west with All American towns and villages, and known for a stretch of antique shops from Geneva to Lima. Once upon a time there was a small local Rochester grocery that grew into 80 legendary stores all over the Northeast: It&apos;s Wegmans! Get ready for a unique shopping experience - Wegmans&apos; flagship Pittsford store is a one-stop food emporium like no other. Some call this the ultimate grocery store. How do you describe a family-owned chain that has its own cooking magazine? Wandering its aisles can be like a stroll through the world&apos;s street markets. Pick up treats to take back to your hotel room. Rochester and its neighborhoods are also full of ethnic and specialty food shops, reflecting its history as first a frontier town and then a city built by the immigrants who came to flourish in this area of fertile soil and close neighborhoods. Waterloo Premium Outlets® is a popular stop along the way on the Thruway east of Rochester. Bring your walking shoes for this giant shopping outlet. Shop 100 designer and brand name stores, including Ann Taylor, Banana Republic, Brooks Brothers, Calvin Klein, Coach and more. Multi-lingual announcements are made for the convenience of international shoppers. Eastview Mall is the region&apos;s premier super regional shopping destination, with stores not found anywhere else in Upstate New York, including the very upscale Von Maur. More than 500 specialty shops cater to high-end, fashion-forward tastes and feature top fashions from premier designers. Free-standing stores are part of Eastview&apos;s complex, too - like LL Bean and The North Face. 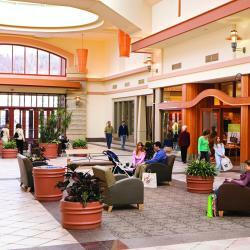 The greatest concentration of stores and restaurants in Rochester surrounds The Marketplace Mall. You&apos;ll find a trendy mix of retailers that target younger shoppers -- like Gift-ology. 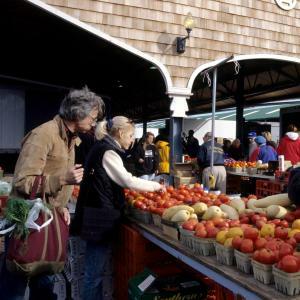 Marketplace includes a Land&apos;s End Inlet -one of only a few locations worldwide. A new free-standing Field & Stream store will become part of the mall&apos;s complex - the only one in Upstate New York. The Mall at Greece Ridge is one of the largest shopping centers in the country with 140 stores and restaurants. There&apos;s a play center for the kids, and the mall features a steetscape exterior and 25 large murals, starting at Niagara Falls and ending with the New York City Skyline at One World Trade Center that take shoppers on a journey through the Empire State. If you&apos;re looking for an affordable mix of traditional and discount retailers - this is the place to find it. The hugely popular outdoor Pittsford Plaza includes high-end clothing boutiques, toys, outdoor wear, Trader Joe&apos;s and a beautiful, free-standing two-story Barnes & Noble. Just a short commute south of Rochester you&apos;ll find the Finger Lakes villages, with locally-owned shops that offer everything from unique artisan products, souvenirs, and gifts to specialty foods from local farmers -- and craft beers, wines, and spirits, of course! Check out The New York Wine & Culinary Center Gift Shop in Canandaigua. These are some of the most lovely, relaxing places in New York. Welcome to Wine Country! It&apos;s a 90 minute drive from Rochester - an easy, pretty drive through some of the most entrancing countryside in the state - to The Corning Museum of Glass. And so worth it! Shop the dazzling GlassMarket at this internationally acclaimed museum - it includes 15,000 items from original works of art, to jewelry, accessories, gifts, and household items. Shopping in the Rochester area is more than just finding things to buy. It&apos;s an experience taking you through the world of art, science, play, food and drink, fashion, creativity and pleasure. With free parking and plenty of it, plus relaxing places to rest and grab a bite (and very family-friendly) - it&apos;s a "win" in the game of shopping. You might have to take a trip back for more!